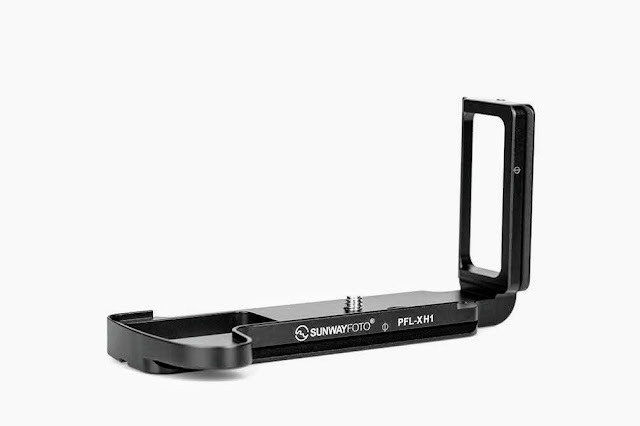 A little while after the release of the updated DDP-64M Panoramic Indexing Rotator, Sunwayfoto has also released a face lifted version of their more compact and lighter DDP-64S Panoramic Indexing Rotator, which is already in the market by now. Much like the DDP-64M, the new version of DDP-64S does not feature an "i" for improved at the end of the model name, making it once again difficult for an untrained eye to say which is which, unless the differences from the previous version are spotted. 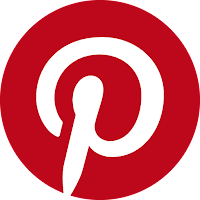 The only way is to pay attention to the panning base and the detent interval stop numbering as we shall see further on. If the "i" letter was not justified for the updated DDP-64M, as the update does not really change any of the functions or the mechanical structure compared to its predecessor, but only issues concerning the panning scale and the bottom mounting holes alignment; then the same could be said for the new DDP-64S as the same issues are addressed. Somehow this justification does not stand for DDP-64S, because quite unexpectedly, there is a major change regarding the detent interval options (click stops) compared to the previous model Reviewed over a year ago, which makes things more complex. For frequent visitors of this site, who have already read the updated DDP-64M review, this review may sound a little familiar as there are not many differences between the two models, other than size and number of click stop options. The updated DDP-64S Indexing Rotator came in the now standard Sunwayfoto recycled-carton box; shrink wrapped which ensures that the product has not been opened after it left the factory. Quite different from the golden rimmed "luxury" box in which I received its predecessor. On the box front opening flap, exists also a round laser hologram sticker, the new Sunwayfoto standard as we saw in the updated DDP-64M review. The lower segment of the hologram hides a 18 digit code by which the end user can verify the authenticity of the product by inputting the security code into the Anti-Fake Inquiry page at the Sunwayfoto.com website address "www.sunwayfoto.com/e_zhichi_3.aspx". A large white label on the side shows the content photo, model and main specifications, as well as the product bar-code. A smaller white label exists in the front together with an oval-shaped transparent label that bears the Quality Control stamp. The DDP-64S travels within a thick foam padding, with all the accompanying documents and accessories enclosed in separate zip-lock nylon bags. There is an "Operating Instructions" fan-fold leaflet with adequate instructions to set up and maintain the Indexing Rotator, in English. Also included are a good quality 1/4"-20 ~ 3/8"-16 thread conversion bushing and the fine quality microfiber Sunwayfoto Cleaning Cloth for cleaning and maintenance purposes. As with the DDP-64M, the usual up to now credit card sized Warranty Card stating Model and Serial Number and the "Customer Information Card", were missing from the box, probably because these samples came directly from Sunwayfoto in China. Nevertheless, Sunwayfoto offers a 6 year limited warranty extension, upon registration of certain products in their website. Knowing the product serial number, makes the Warranty Card redundant. Nothing has changed regarding the sturdy structure with the very fine and high quality Sunwayfoto CNC machining and finishing. All aluminum parts are hard coat anodized in a satin black color with only accents of the stainless-steel stud, the screws and lock-knob shaft. Although everything looks and feels the same, the awkward 0-90-0 degree scale has been replaced by a 0-360° Panning Scale at last. This also includes the relocation of the panning Index Mark in a more visible position. A second Index Mark has been added, which is located on the front side bearing the Sunwayfoto logo. The second mark resides exactly opposite to the other Index Mark and can be used for reference as well. However, I should point out that if this index mark is used for 0° reference, 1 of the 4 degree stop intervals (specifically the 8°/45 stops) does not pass from this point, so care should be taken. As I had written in the updated DDP-64M review, in my opinion this Index Mark is more visible, therefore if someone decides to make it the main index mark for all click stop intervals, it can be done but requires unscrewing and relocating the panning base assembly turning it by 180°. DDP-64S follows the DDP-64M paradigm with the alignment of the bottom mounting holes axis with the 0° mark on the panning base scale. This is a feature, I had asked and pointed out to Sunwayfoto engineers so as DDP-64S Indexing Rotator, being quite compact and lightweight, could be properly aligned if used as a vertical rotator. However, as we shall see in the comparison with the previous version below, this extra function cannot be fulfilled yet. A side by side or top to bottom arrangement of the previous and the lately released Sunwayfoto DDP-64S Panoramic Indexing Rotators are more revealing of the major and minor differences. As mentioned in the beginning there are no obvious discriminating difference between the two versions, unless one looks closer. By doing that, we can see that the cable retaining the detent interval regulating (plunger) knob is a little longer and that the panning Index Mark is relocated by 45° to the left. Most important though, is the change in the detent interval options, not because of the bolder engraving of the marks and digits, but because the degree options are totally different. Instead of 18, 30, 45 and 90 degrees, the new version has a selection between 8, 10, 12 and 18 degrees! When the two versions are stacked up we can see that the Index Mark now resides to the left of the first detent interval stop hole, instead between the middle ones previously. It's more obvious in this photo (click to enlarge) that the previous 0-90-0-90 laser engraved Panning Scale has been changed into a more appropriate continuous 0-360° scale and that there small line marks every 2.5° instead of every 5°. Finally, the bottom mounting holes axis is now aligned with the 0° mark on the panning base scale. From the illustration above you may see that the previous version had a divergence of 45° between the bottom mounting hole axis and the 0-180° axis. Unfortunately, my wish was fulfilled halfway, since there still exists a divergence of 45° between the axis of the bottom mounting holes and the axis of the mounting holes on the top platform as before. Therefore DDP-64S is not so appropriate to be used as a vertical rotator yet, unless some compromises are considered. On the other hand its use as a horizontal rotator will never be affected by this divergence whatsoever. Just hope Sunwayfoto engineers decide to make a final modification sometime in the near future in order to make it more functional also as a vertical rotator. The almost complete (but for one) change of the detent interval options has changed the nature of this indexing rotator. The previous model was a more compact and lighter version of the DDP-64M Indexing Rotator featuring a subset of 4 out of its 10 detent interval options. Sunwayfoto's new choice of the detent interval options on the updated DDP-64S version, increases the versatility of the rotator in my opinion. Since each option may be used as is, but also as a factor for wider angles. For example if we need 24° we can select the 12° option and count every second click stop. Same if we need 45° we can select the 15° option and count every three click stops, and so on. This feature will be most appealing to photographers who like to experiment with different focal lengths for different projects, without having to buy more than one small rotator or a larger rotator with more options. Furthermore, the DDP-64S will also prove convenient to photographers who would like to experiment with the new Microsoft Photosynth platform, which requires a 70% coverage between frames in order to compensate for Parallax errors and produce a 3D effect. Extra compact size and low weight with versatile detent interval options. Good quality metal 1/4"-20 to 3/8"-16 conversion bushing included. Bottom mounting holes axis does not align with the top mounting holes axis in order DDP-64S may be used as a vertical rotator. Not so important but the Lever Lock-knob is still non-captive which may fall off if unscrewed inappropriately too much. We have an exceptionally good built quality, smoothness in operation, versatility, plus the choice of 4 detent intervals (click stops) from 8 to 18 degrees adequate for applications covering lenses from ultra wide to some telephotos, all these in a small size and even lower price not only compared to competition but also to the previous version. All these may rate the DDP-64S as a Great Value for money product. 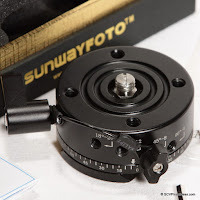 The DDP-64S Indexing Rotator presented in this article is a complementary copy, kindly offered by Sunwayfoto, for evaluation and review. Read also the Sunwayfoto DDP-64SX Panoramic Indexing Rotator Review for a thorougher description of the DDP-64S Indexing Rotator functions with implementation examples and a comparison table. As the "I" denotes an improved version has been released resolving all pending issues of the previous versions. Also DDP-64SI and DDP-64SIX replace previous versions. Current price for the DDP-64S is US$ 79.00 (+shipping where applicable) and is available from Amazon.com. The updated versions of DDP-64SX (DDP-64S bundled with the AM-01 Arca Mount plate) will also be available soon.